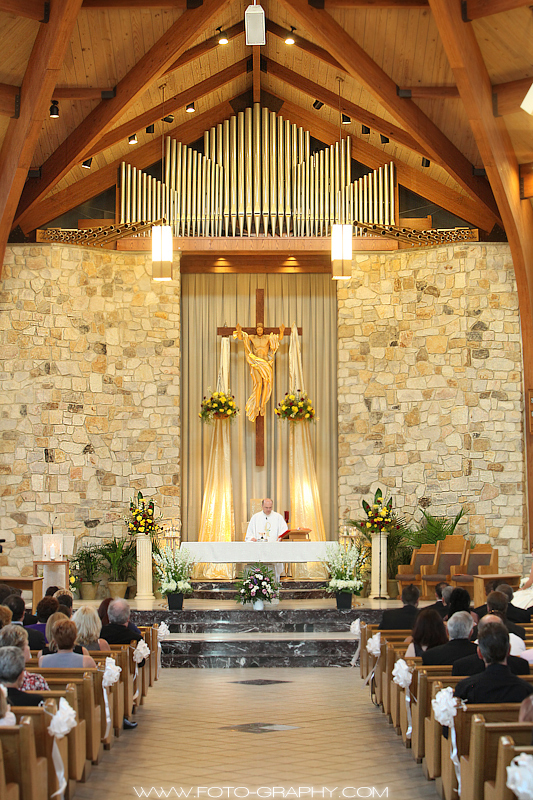 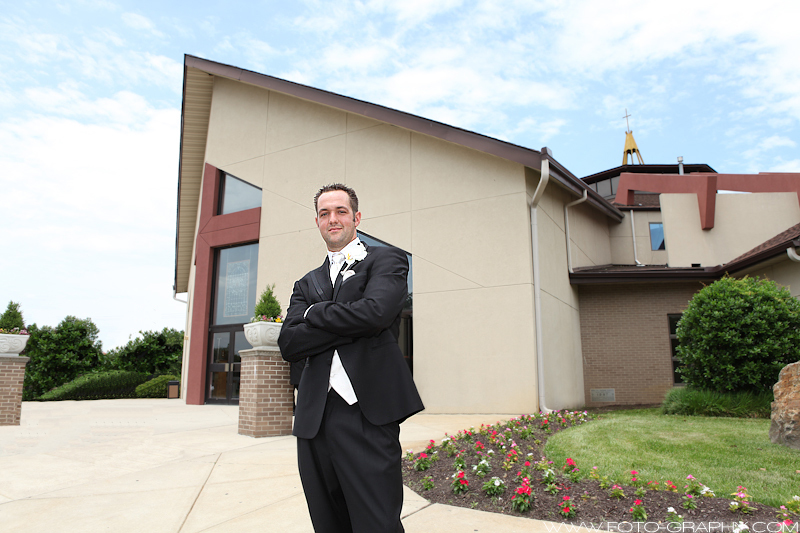 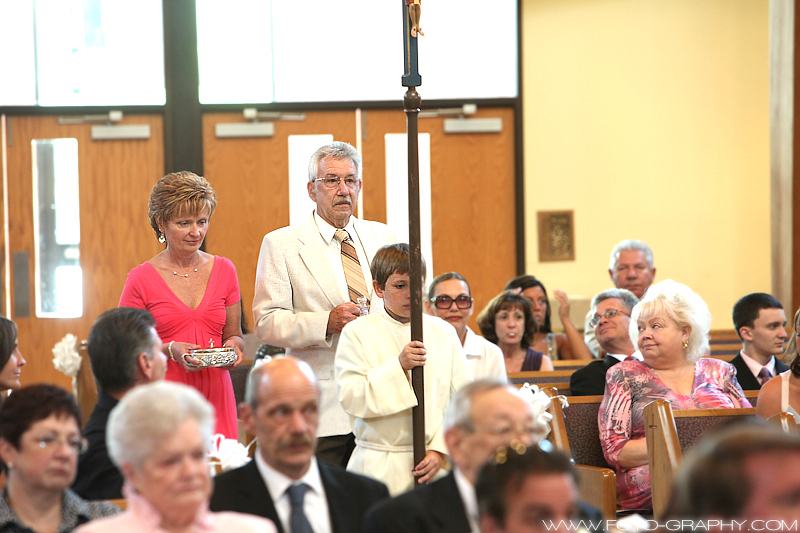 Then we headed over to the church to get ready for the ceremony at Our Lady of Hope – St Agnes Catholic Church, in Blackwood NJ. 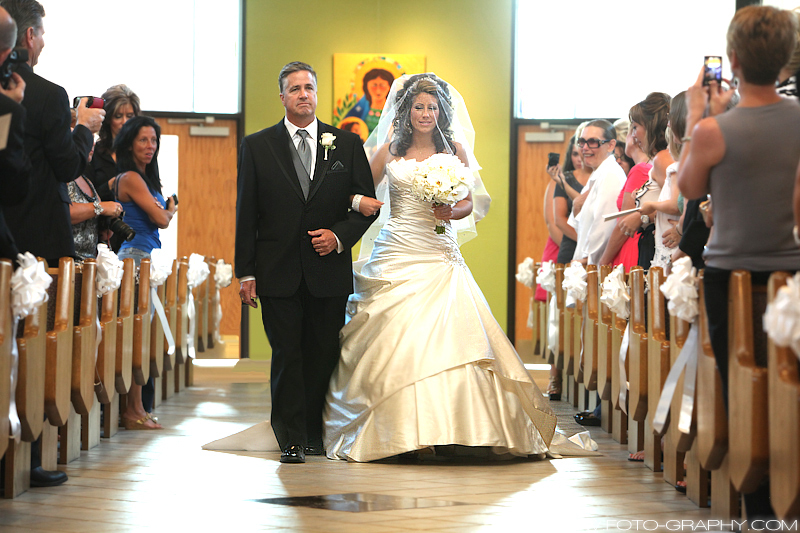 The church was very well lit with lots of sun light coming through at all different angles. 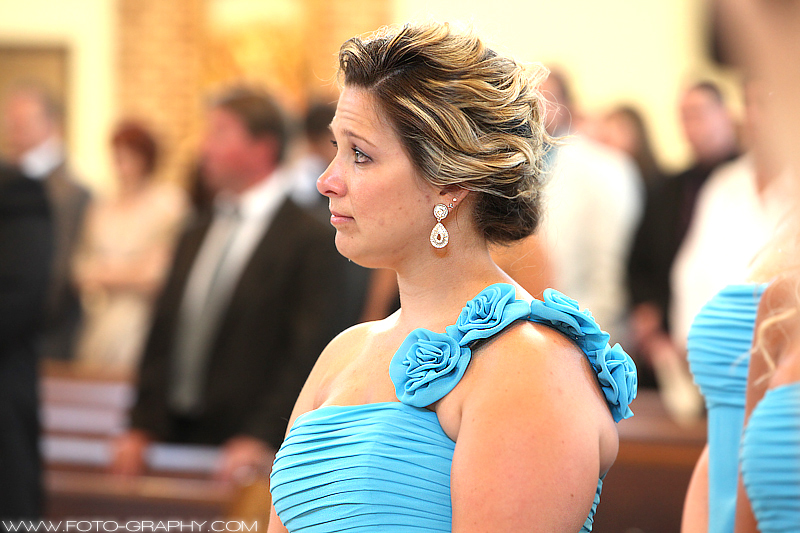 The lady singing all of the church songs was the same super awesome singer that was at Steve and Erica’s wedding, best wedding ceremony singer I ever heard, she belongs on like american idol or something, she seriously sounds like she sang the a disney cartoon movie singer, like little mermaid or something. 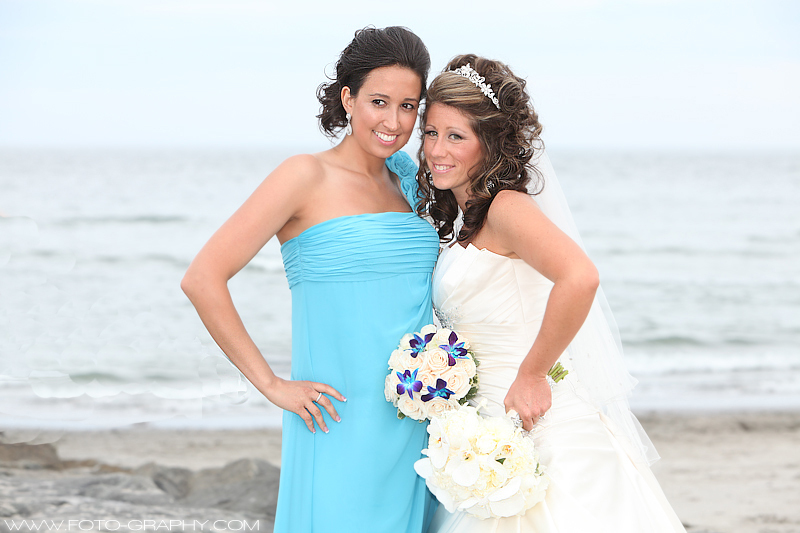 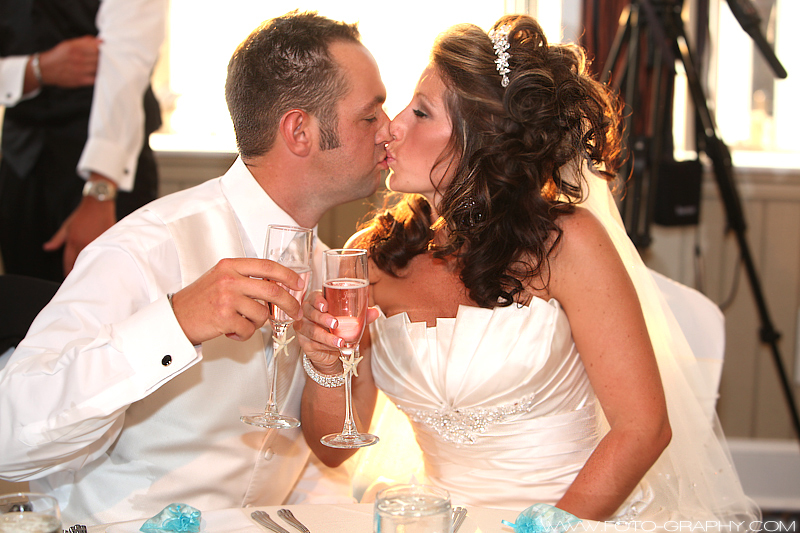 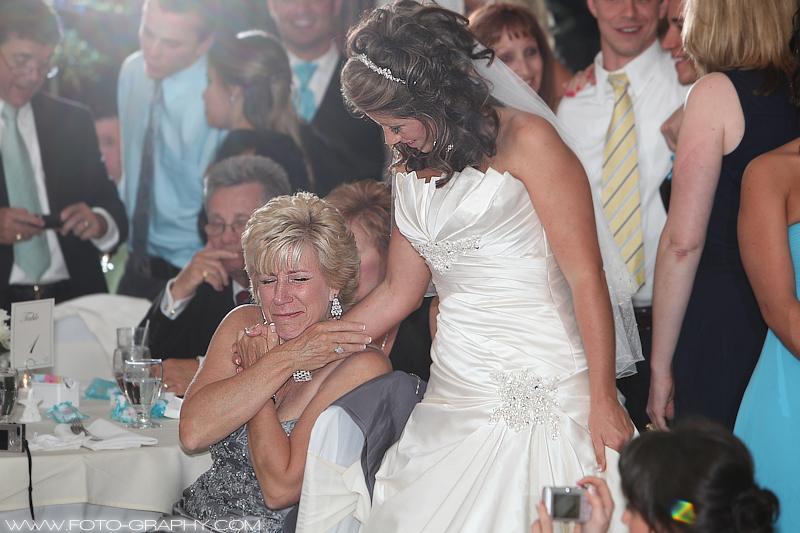 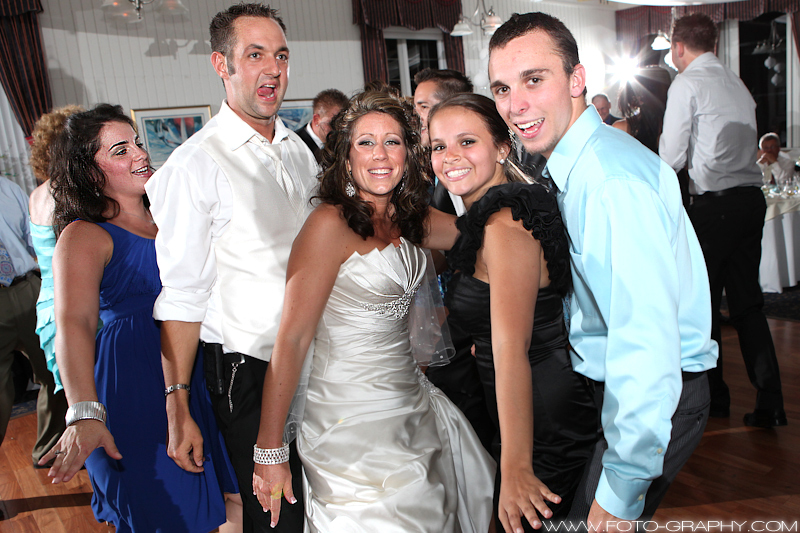 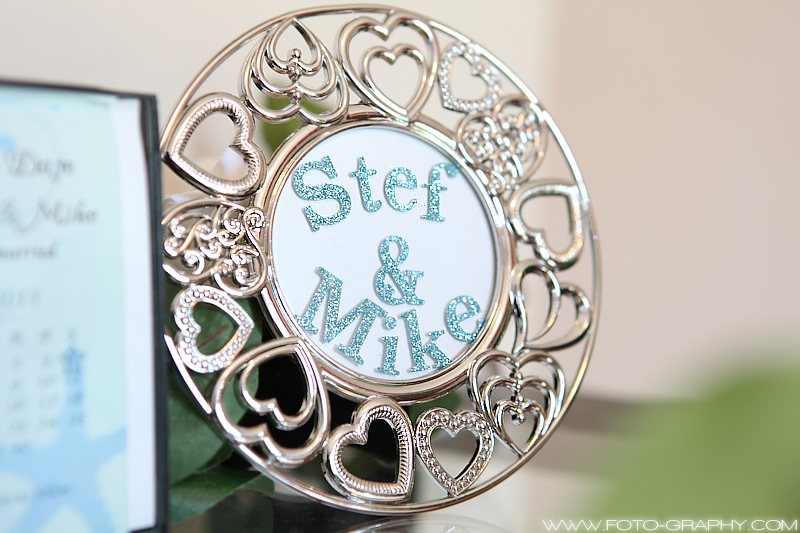 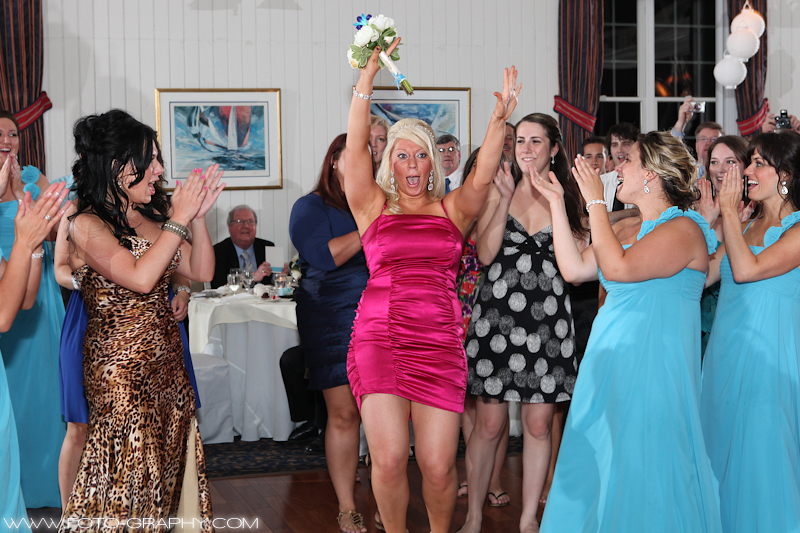 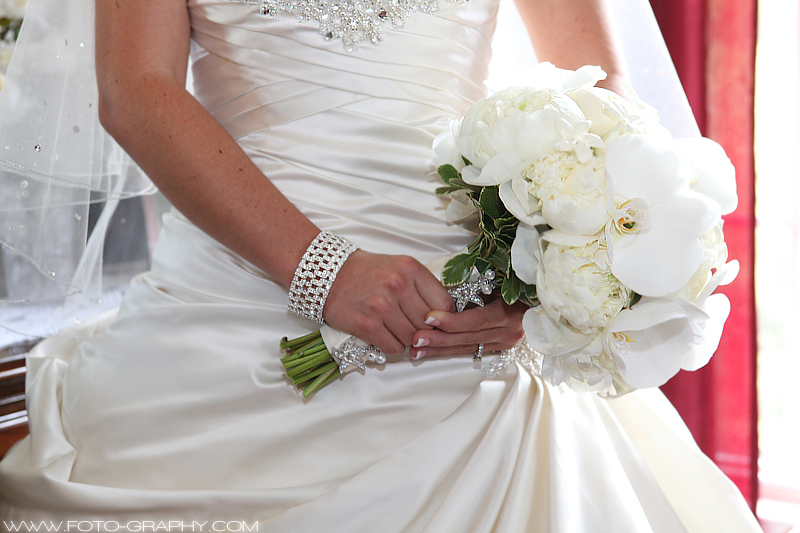 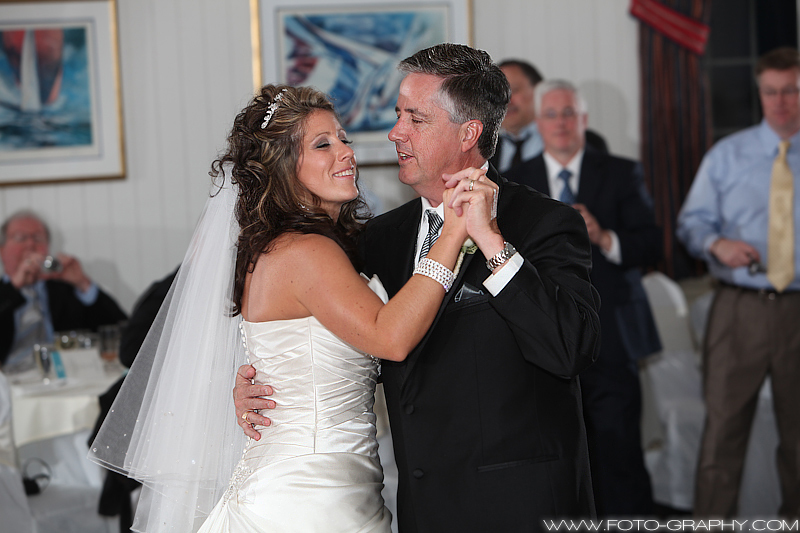 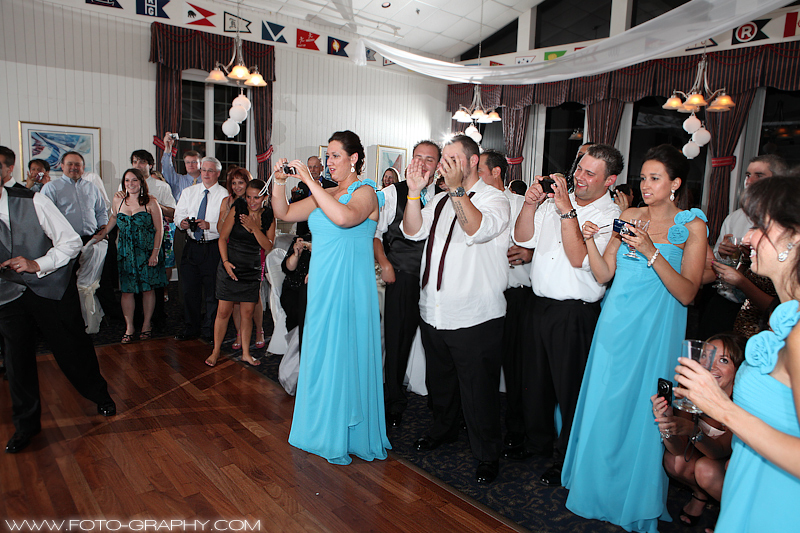 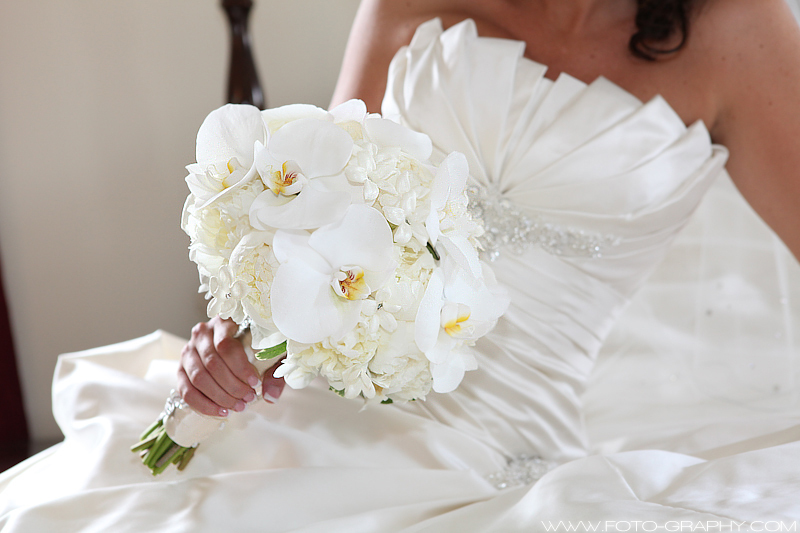 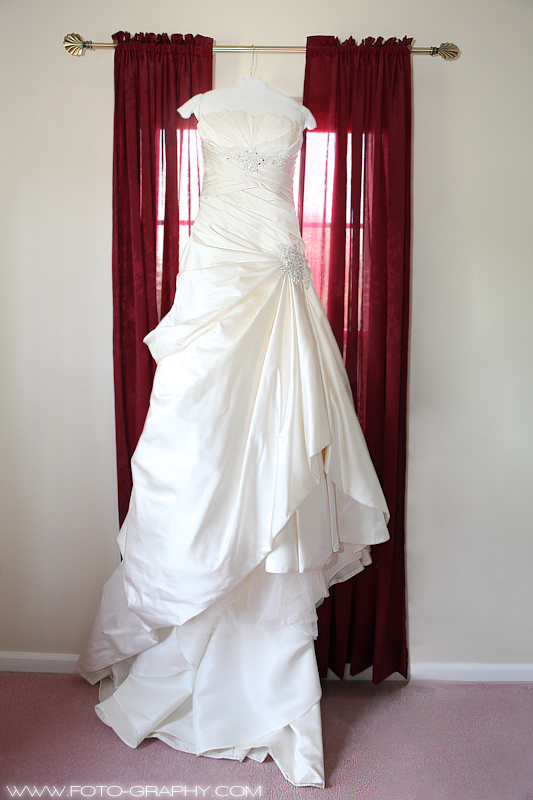 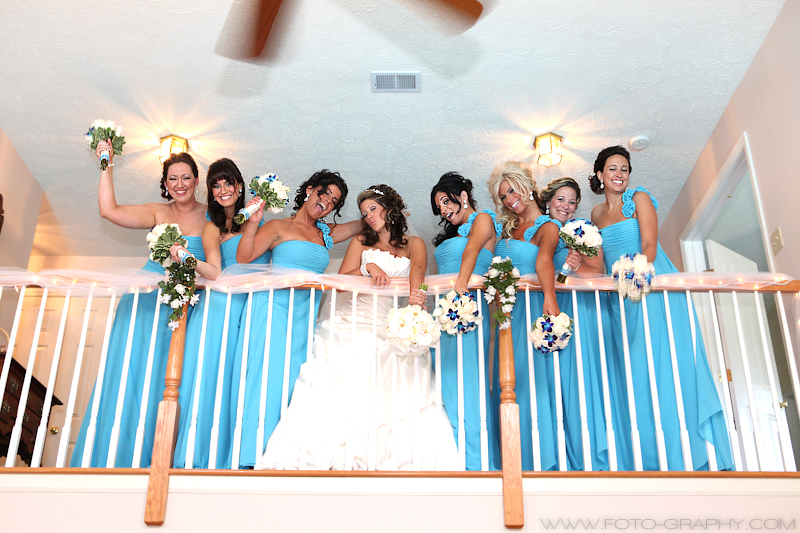 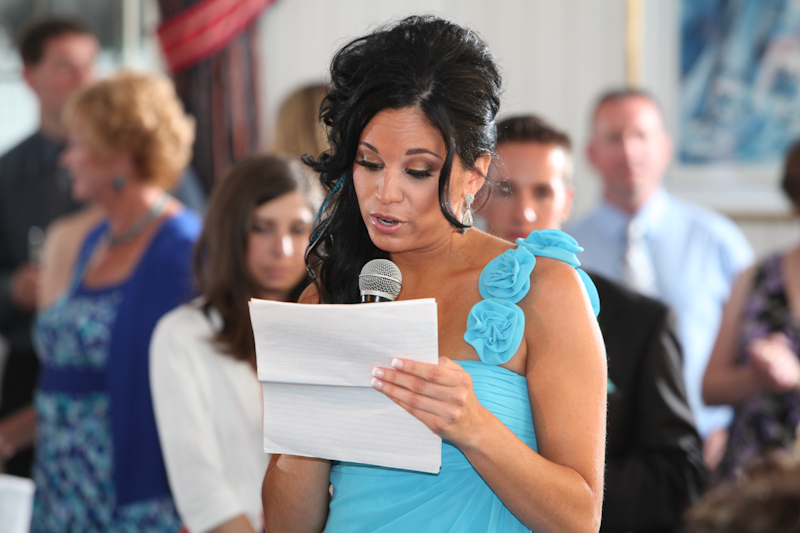 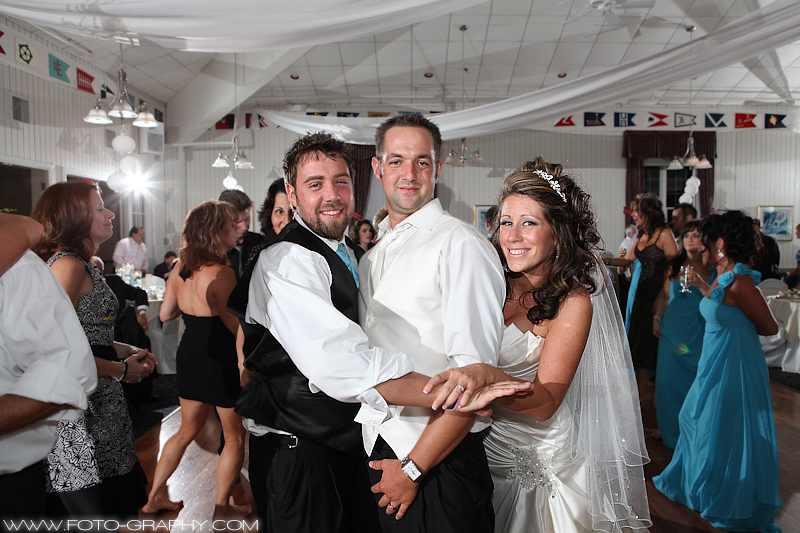 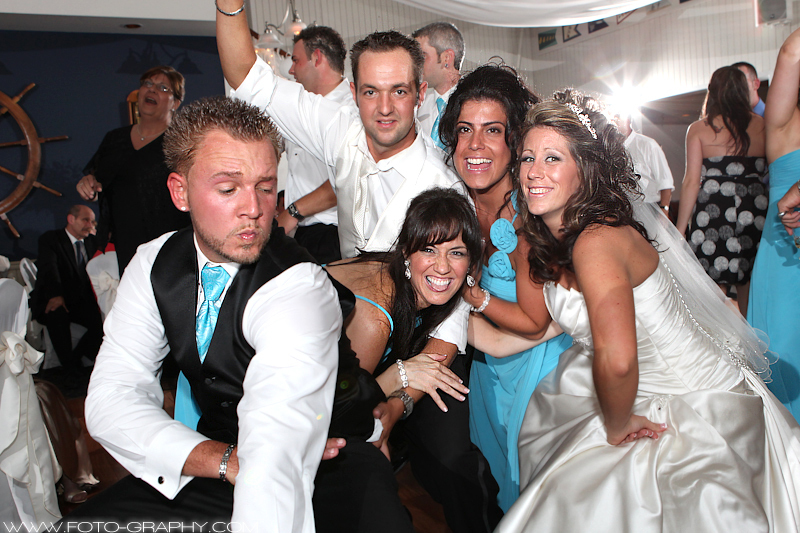 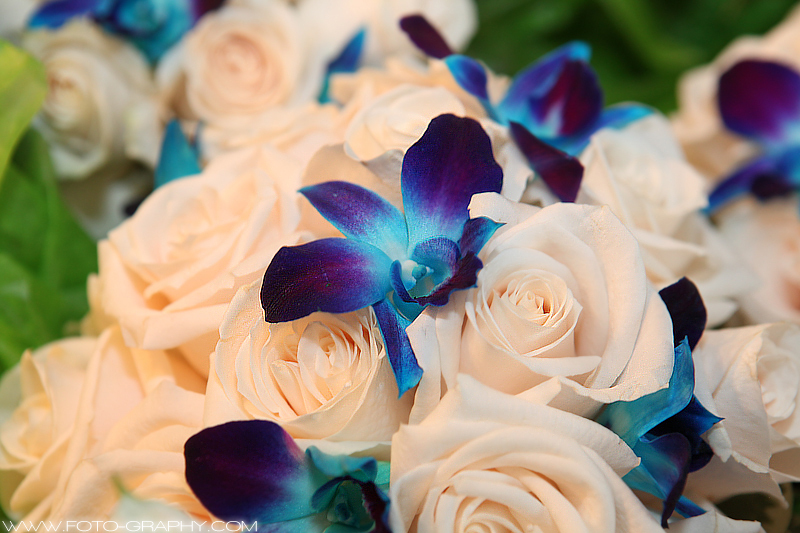 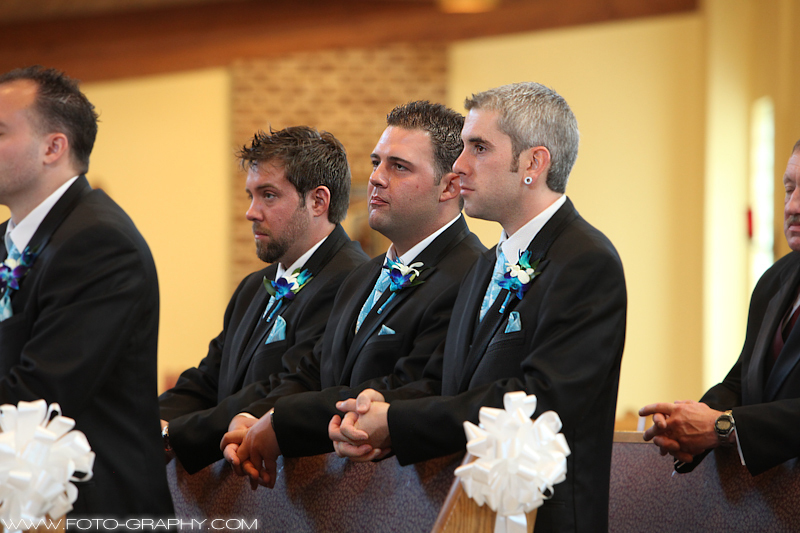 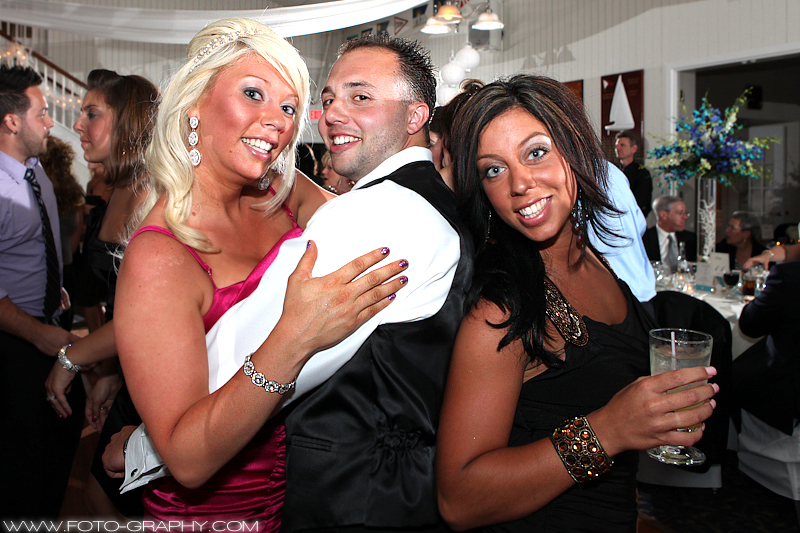 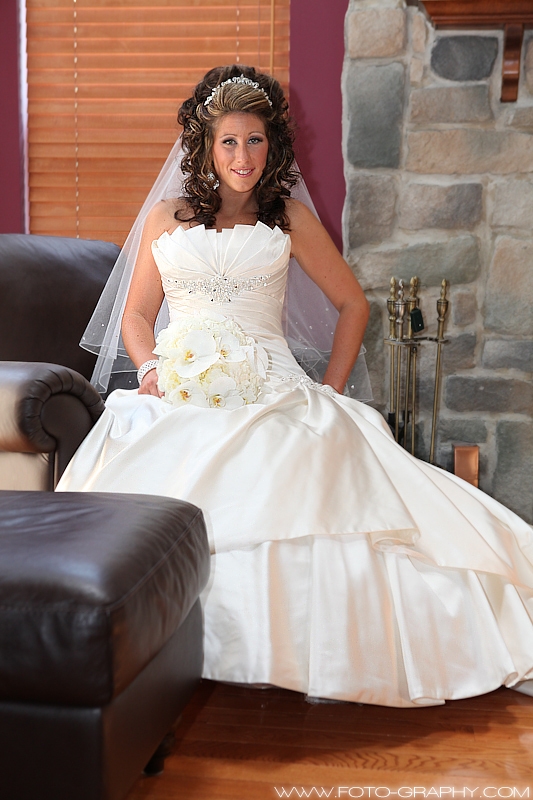 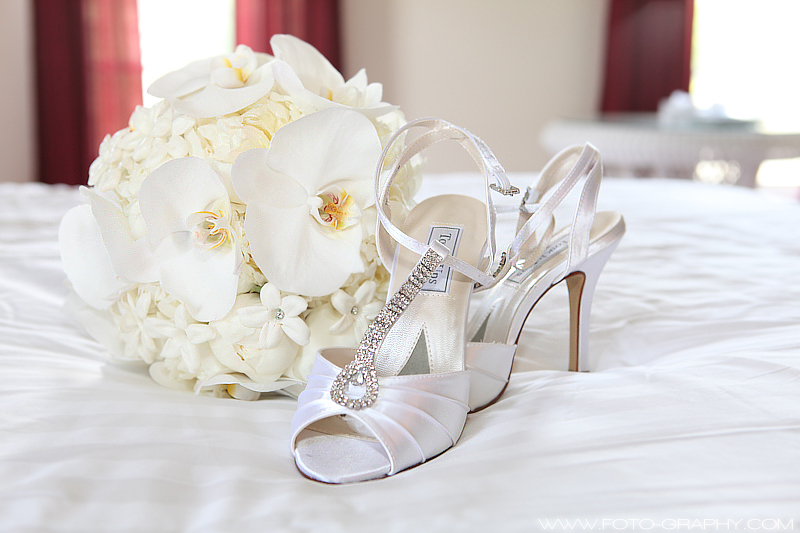 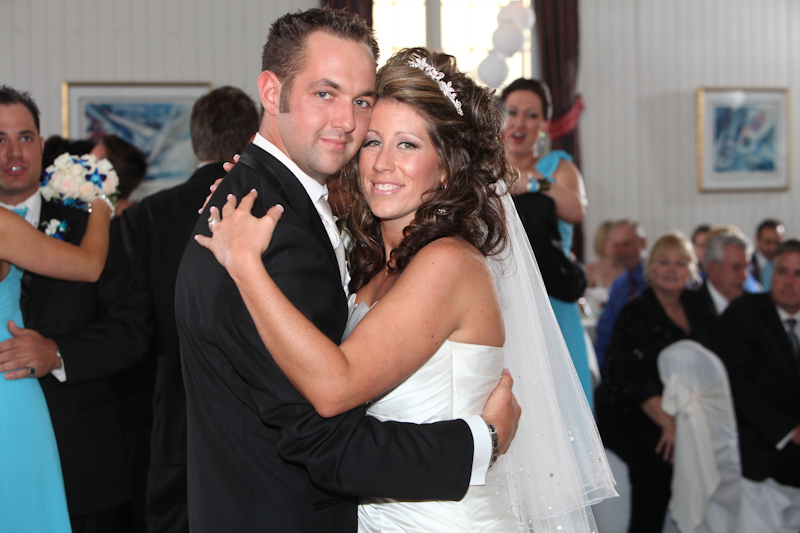 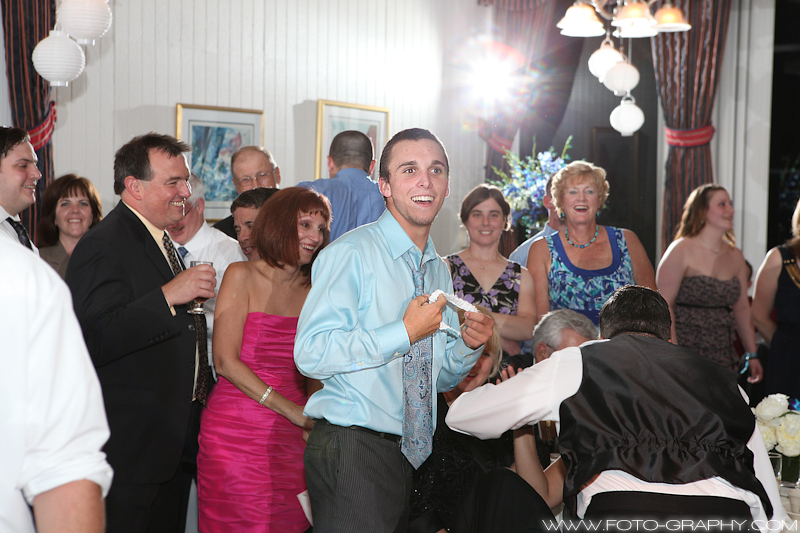 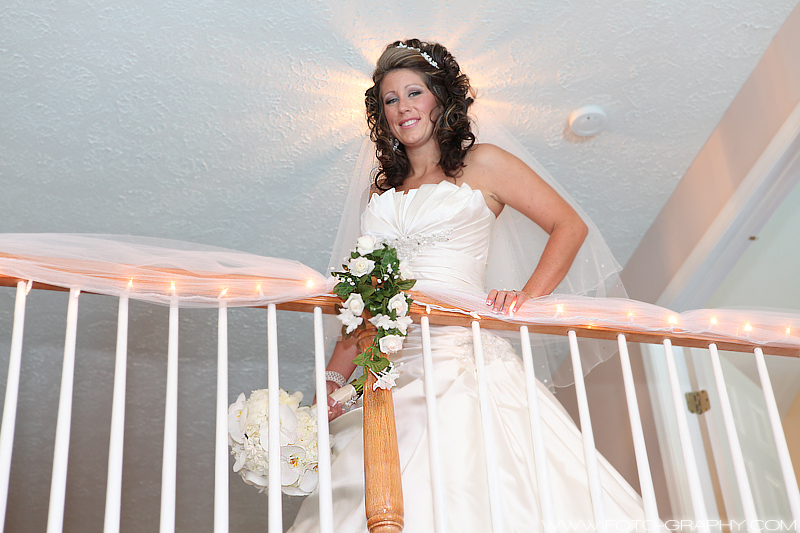 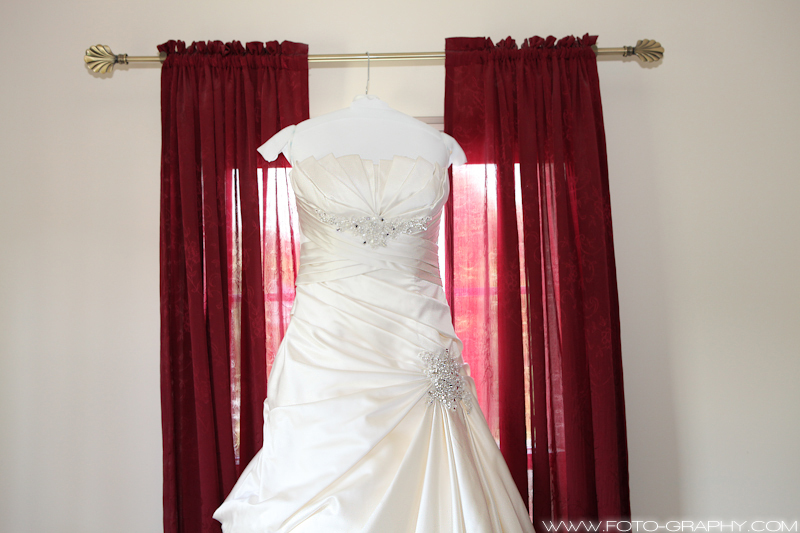 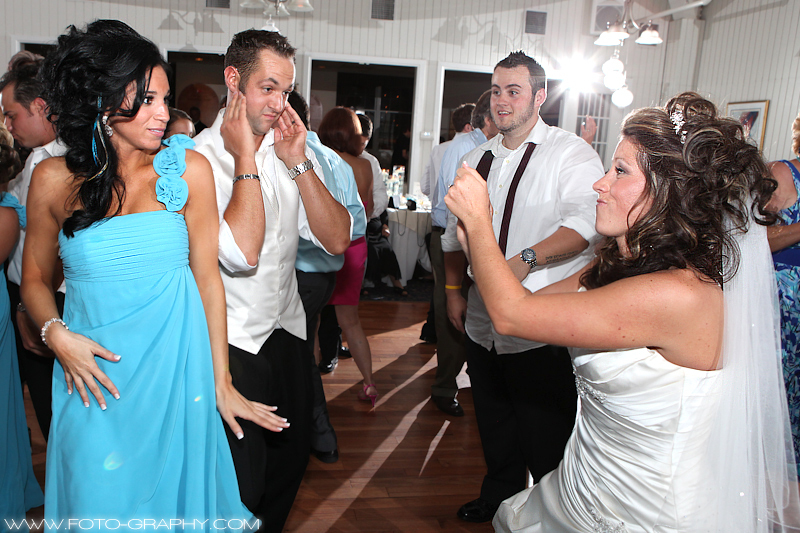 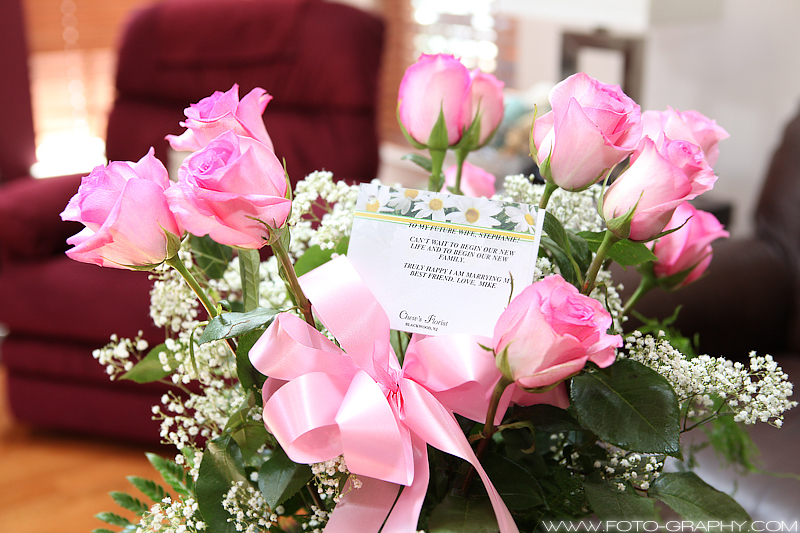 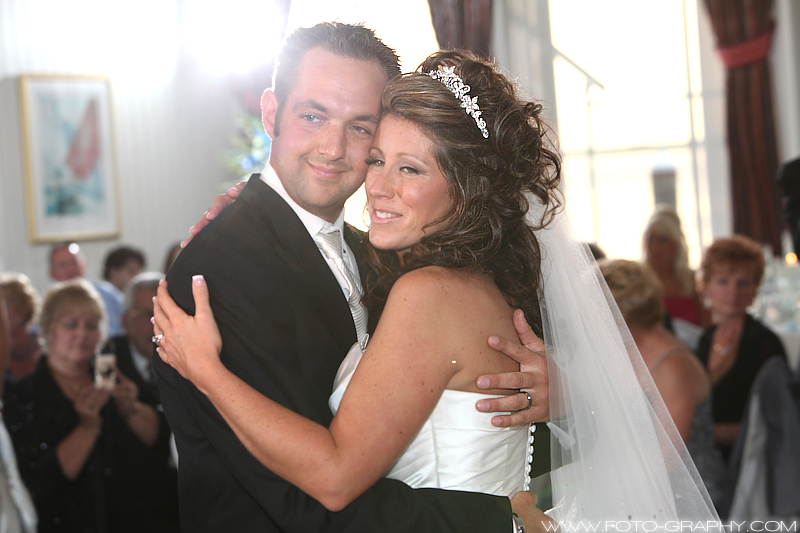 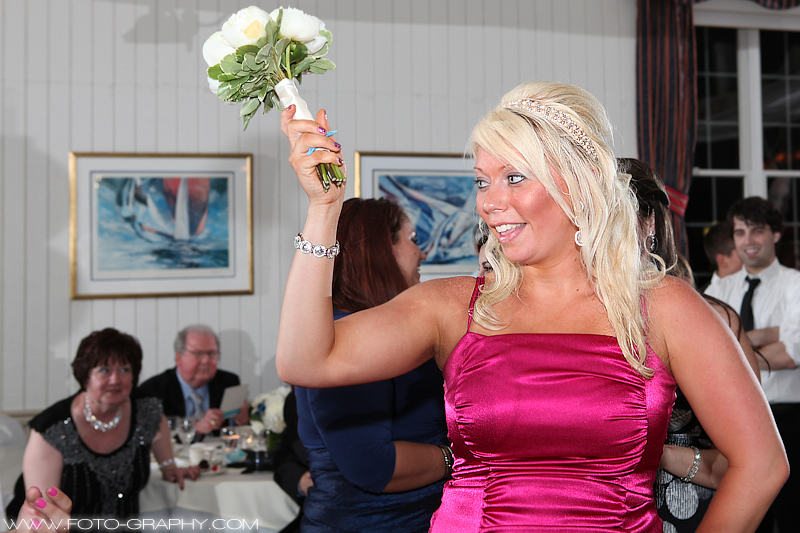 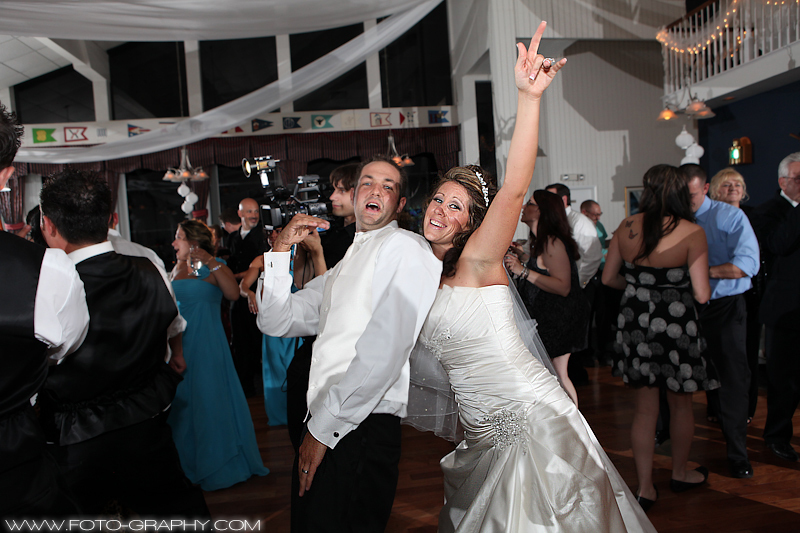 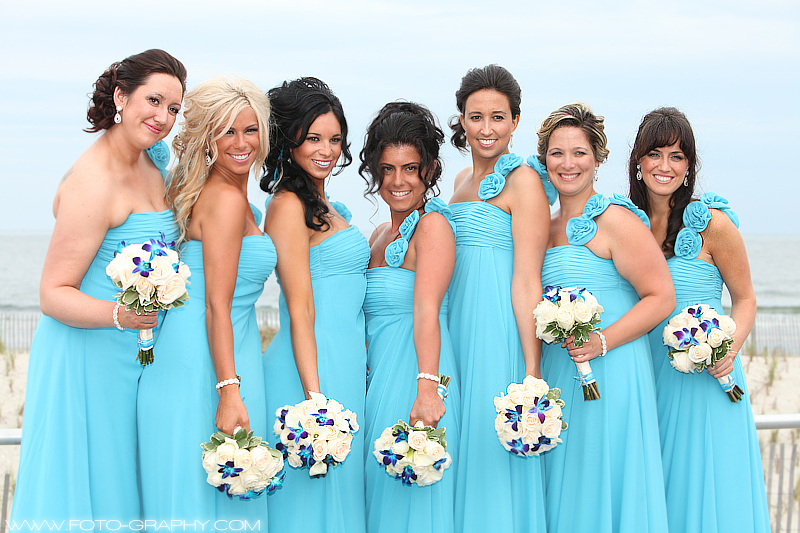 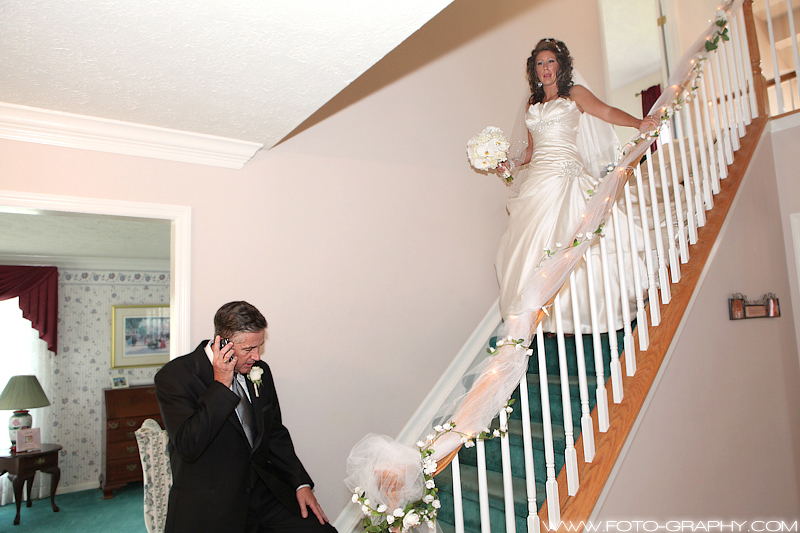 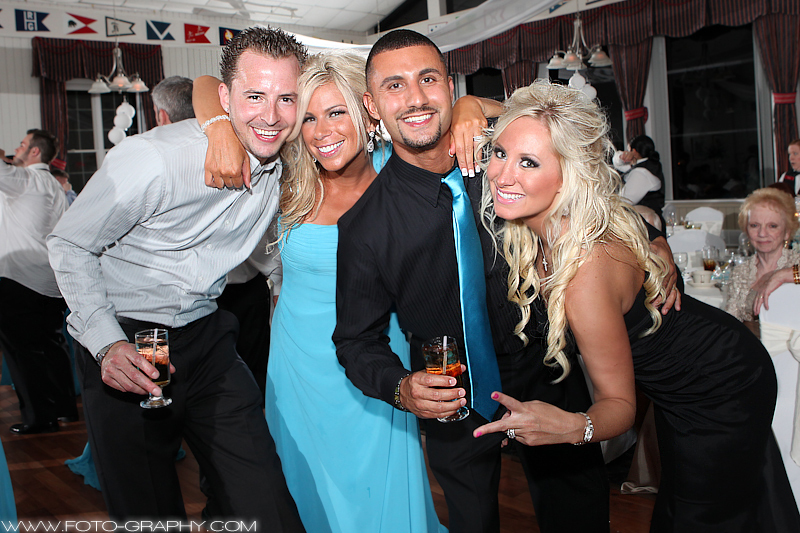 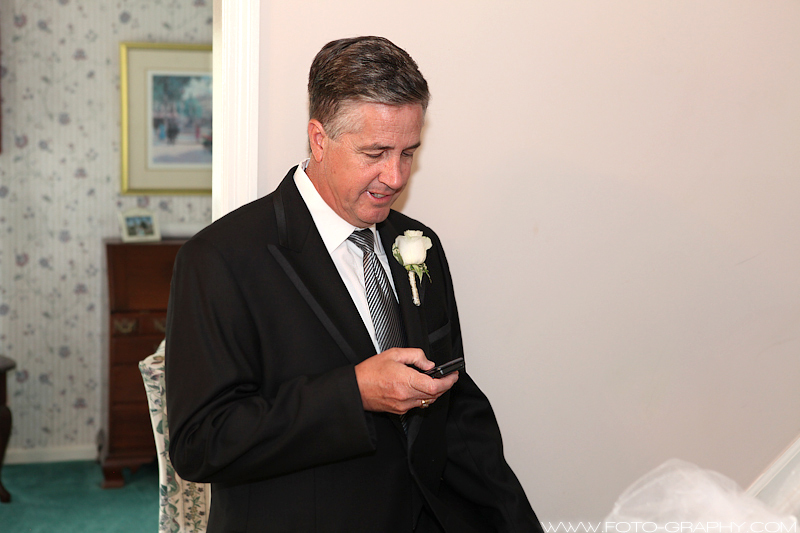 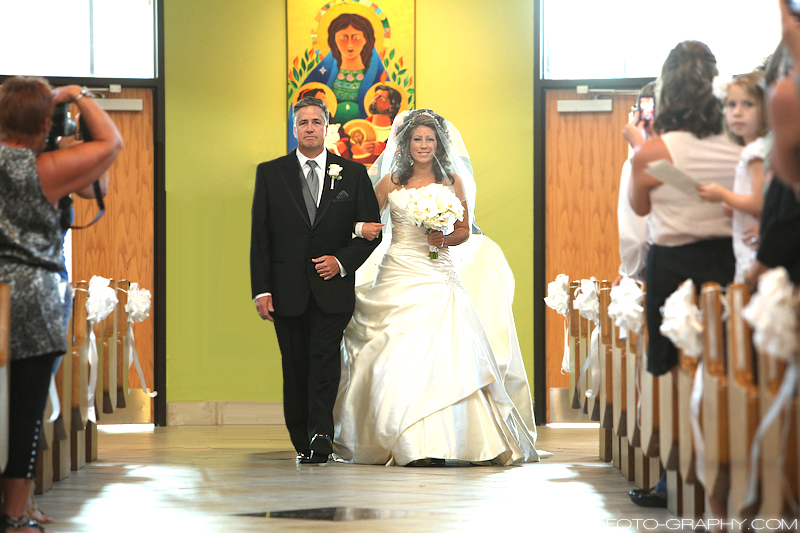 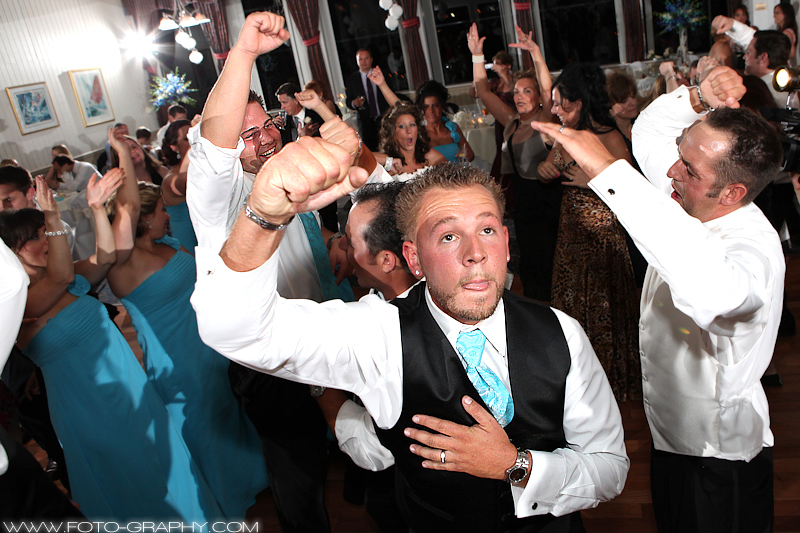 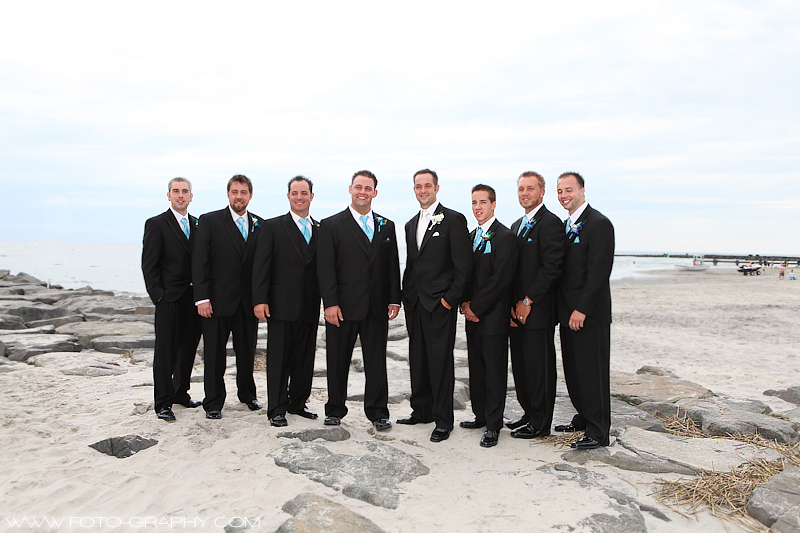 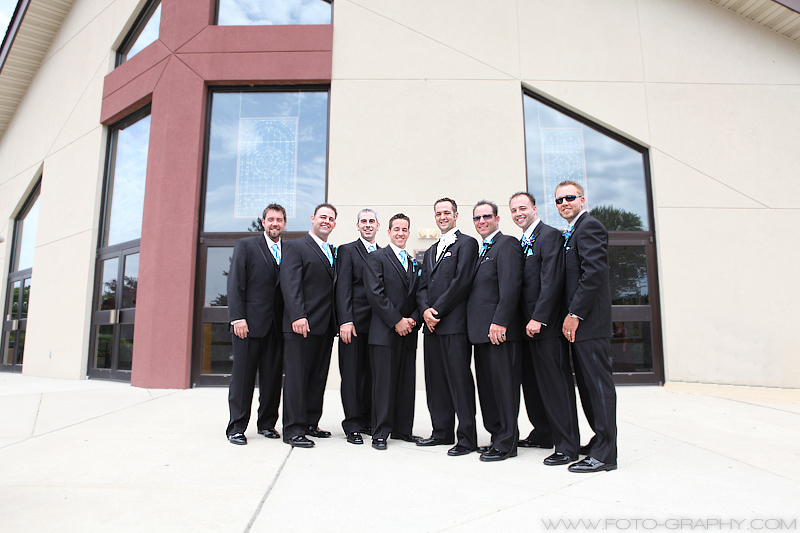 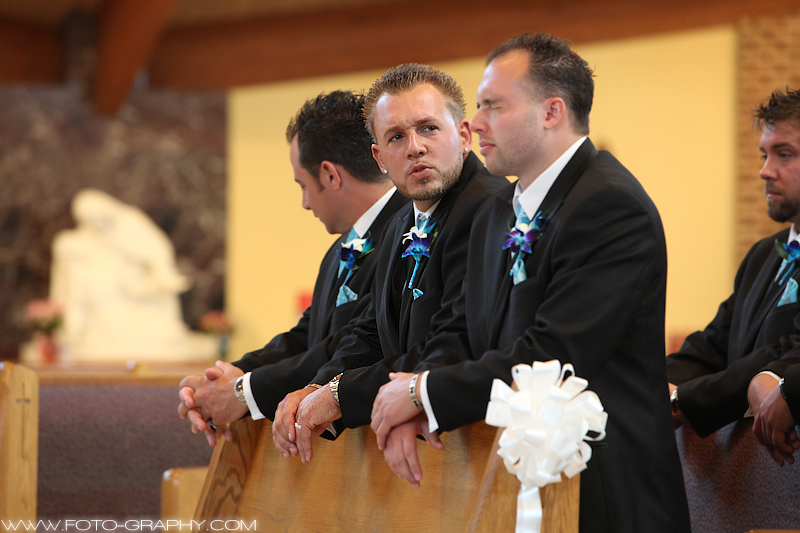 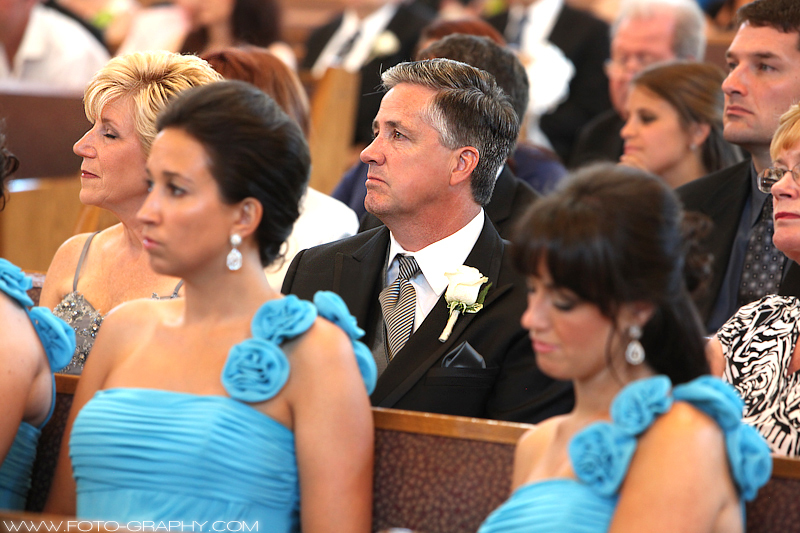 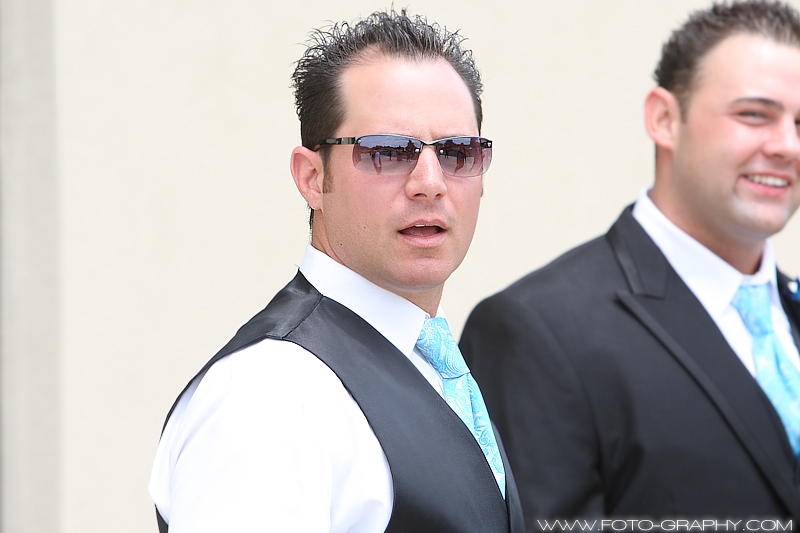 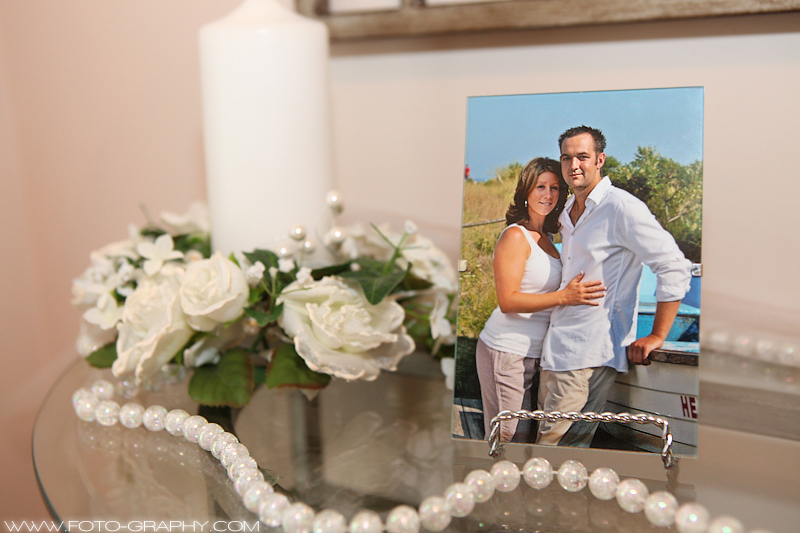 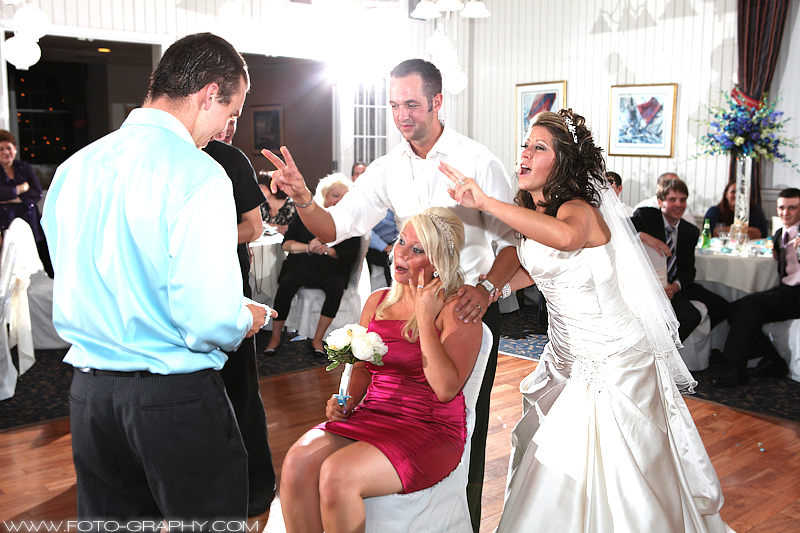 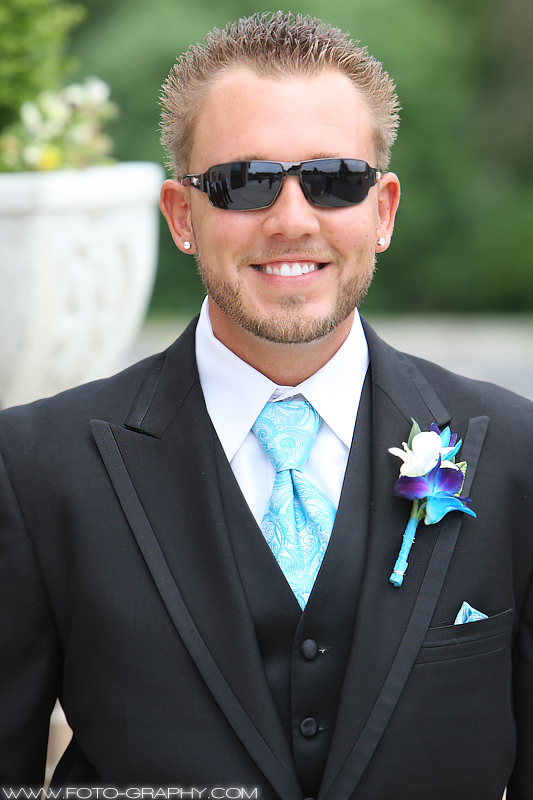 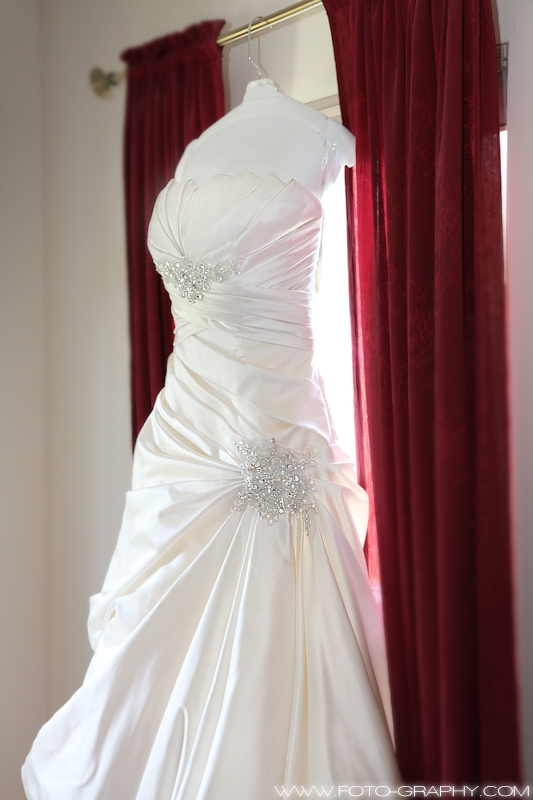 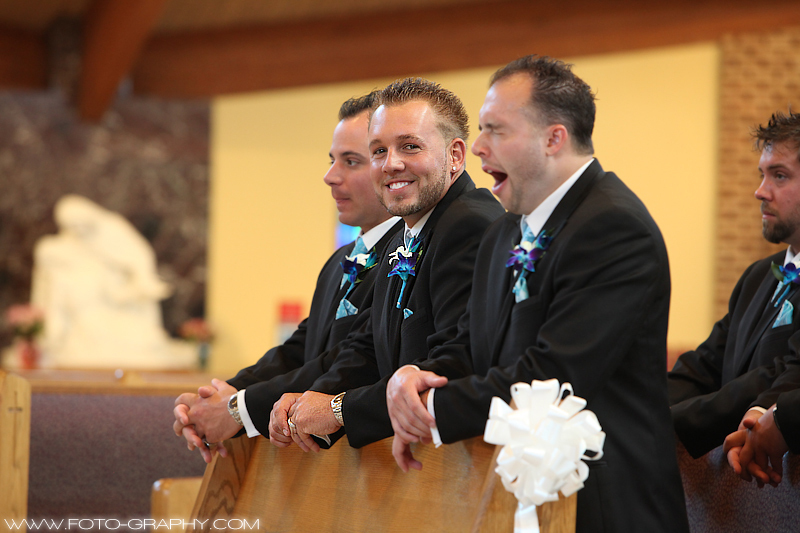 I shot many great candids of Steve, Erica, Anthony and Tia, including all of the other bridesmaids and groomsmen. 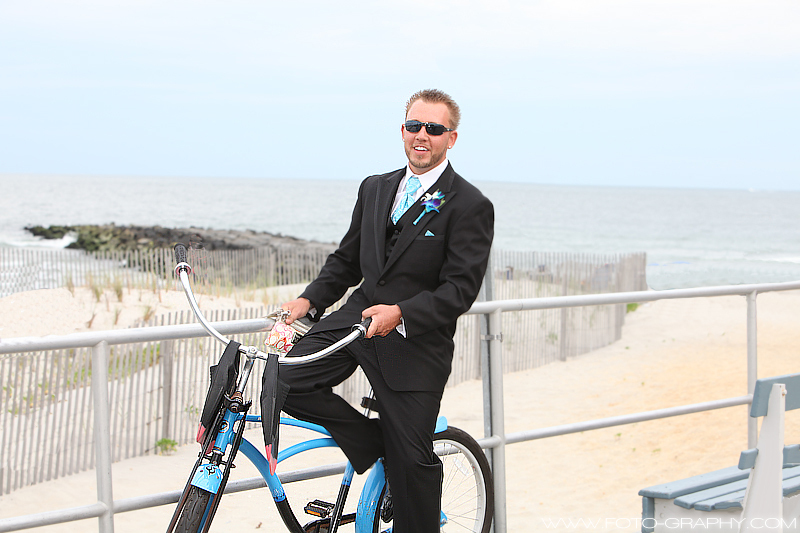 Then we went to the beach and boardwalk for some pictures in Ocean City, NJ. 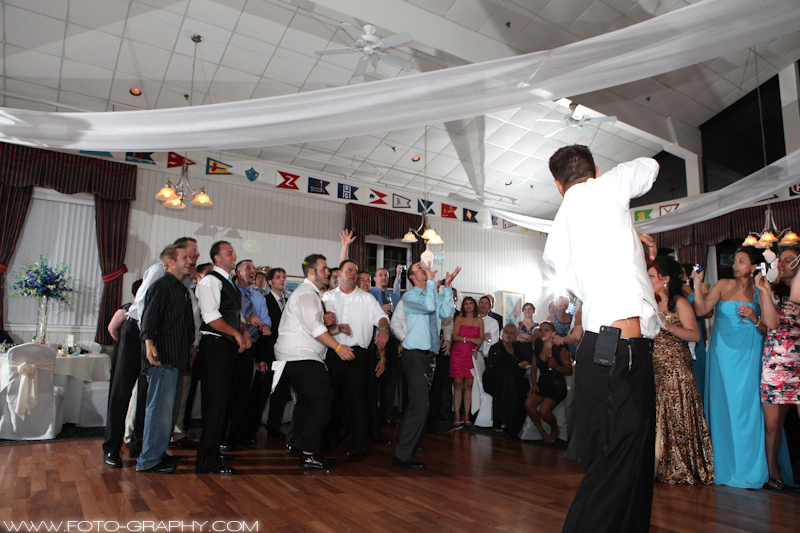 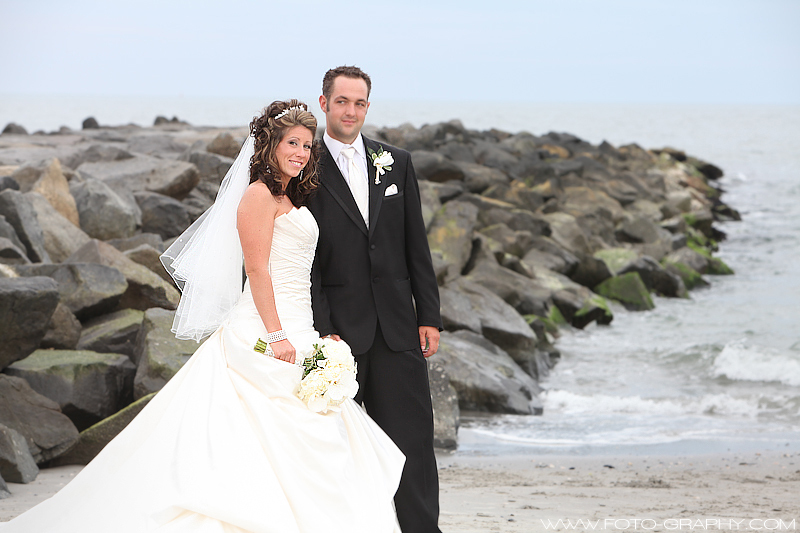 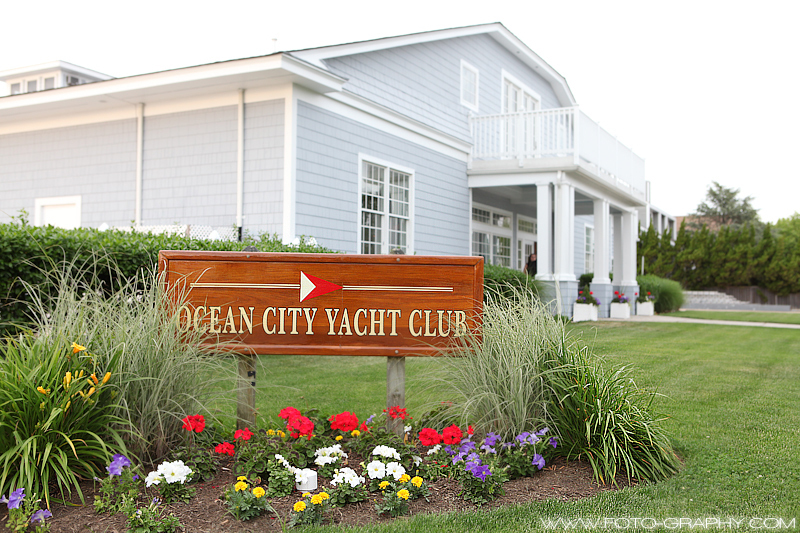 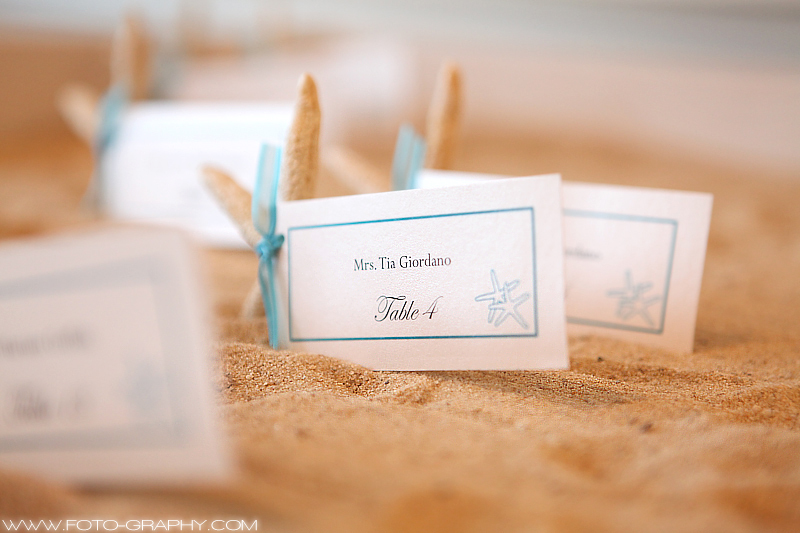 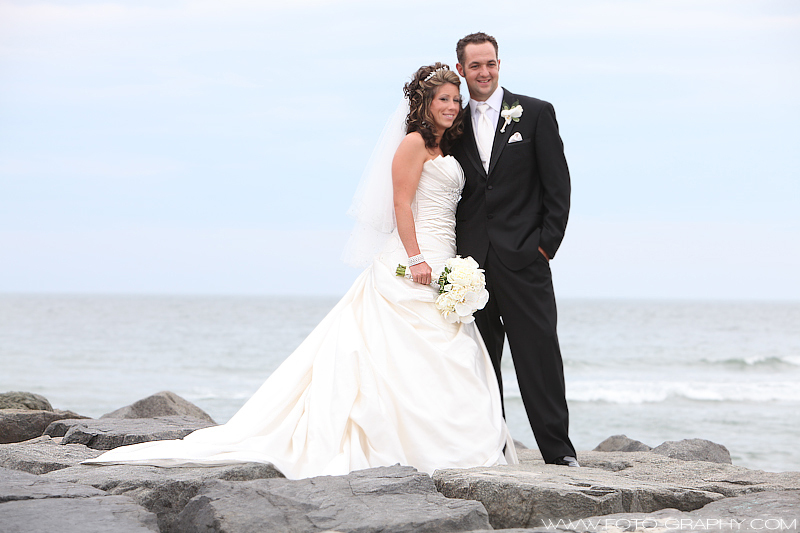 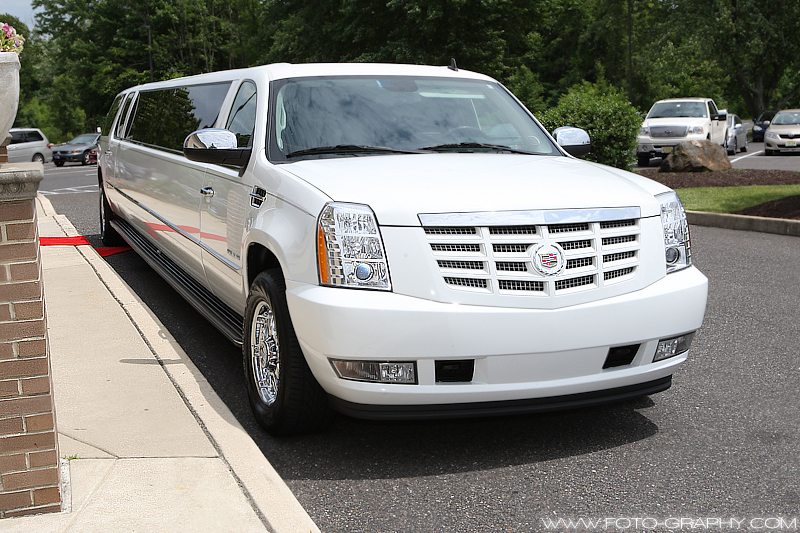 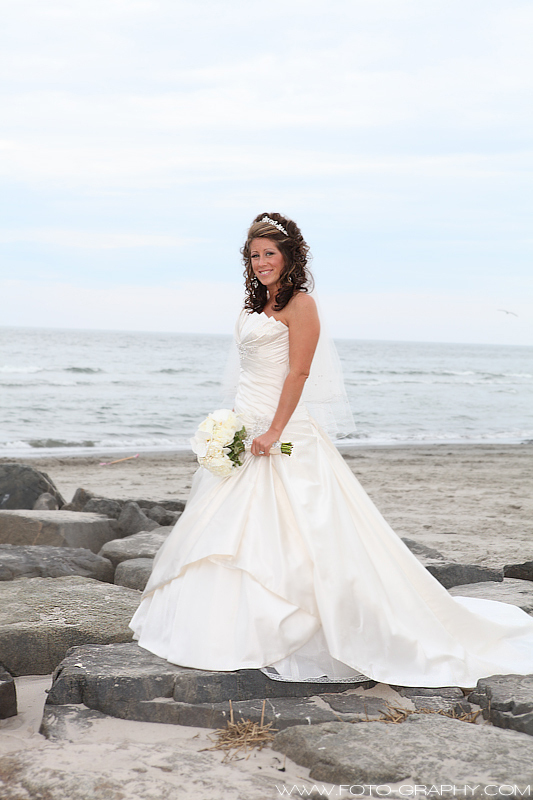 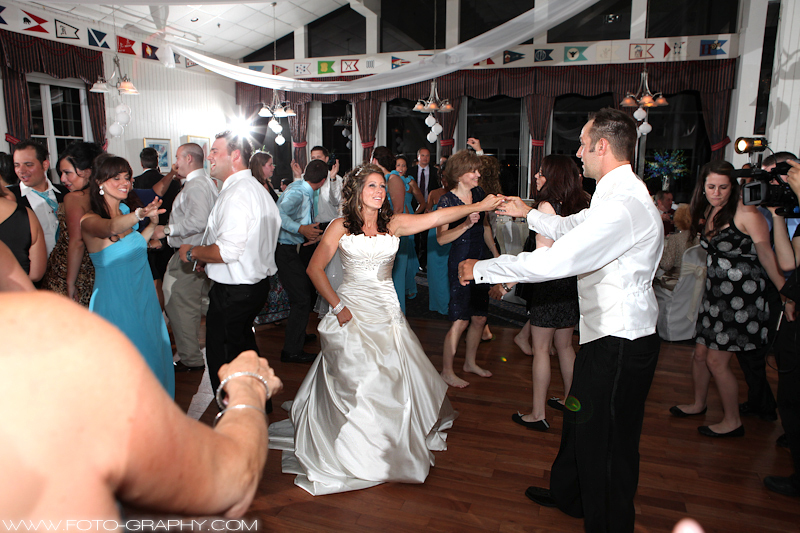 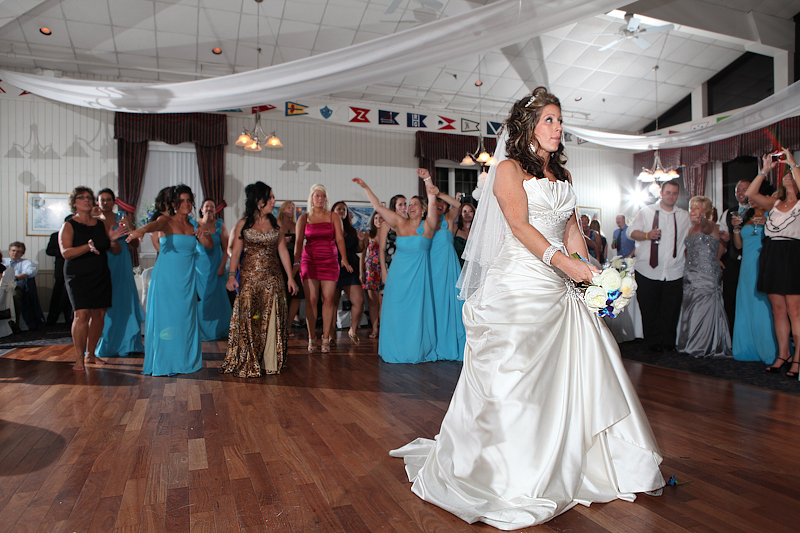 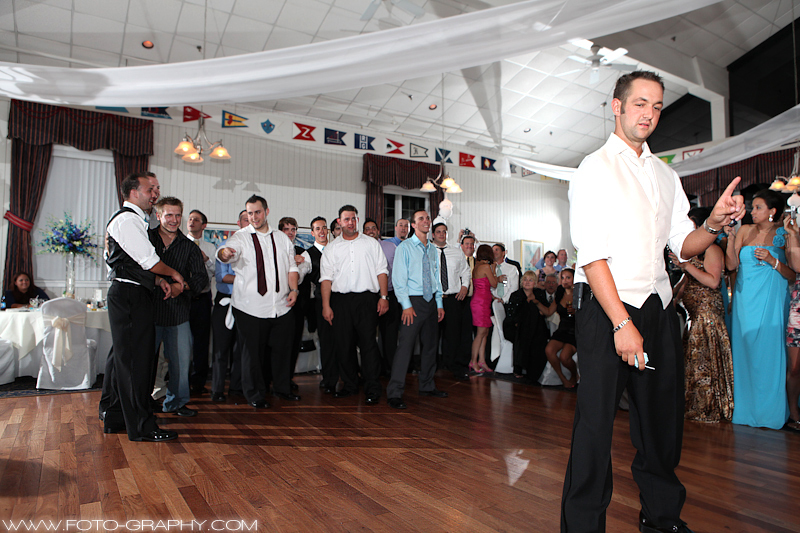 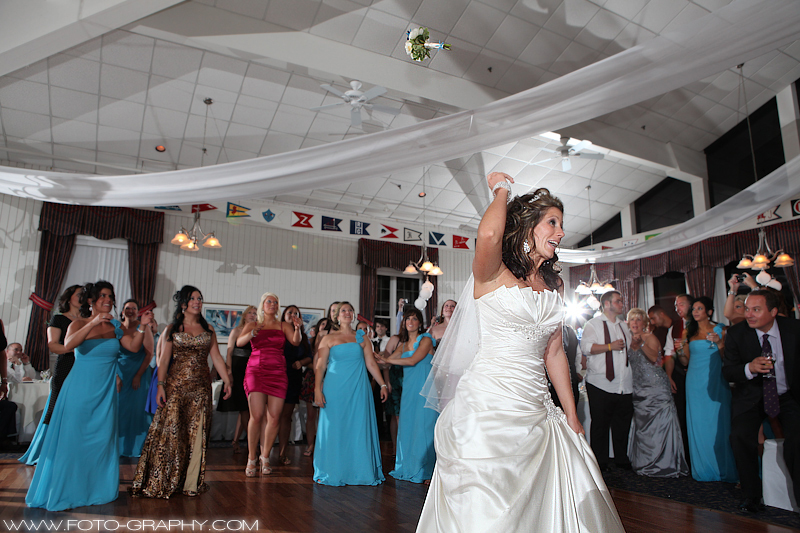 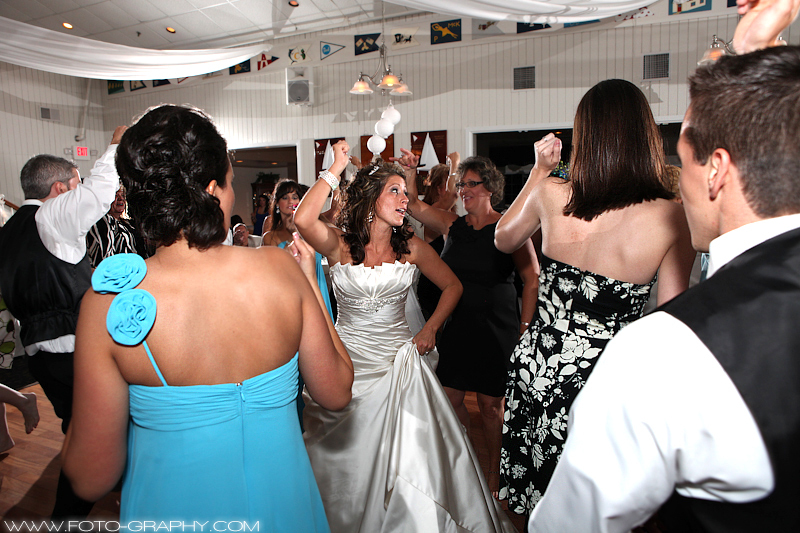 Then we went to the reception site at Ocean City Yacht Club, in Ocean City, NJ. 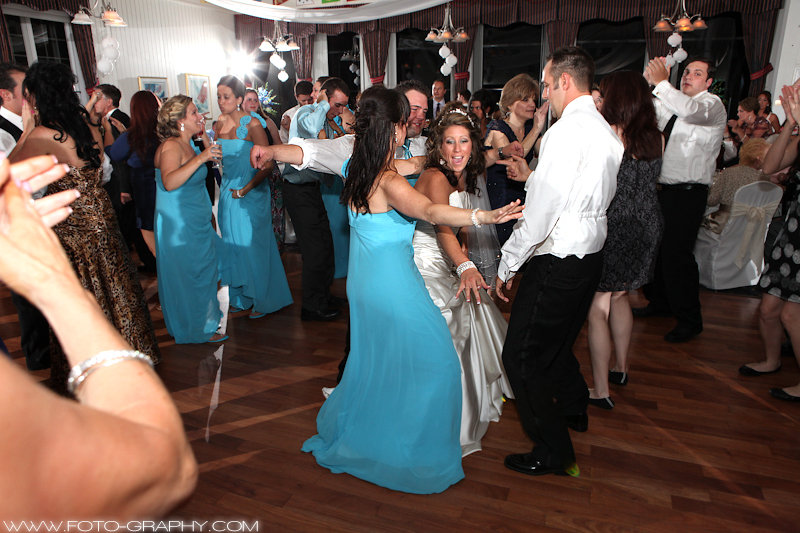 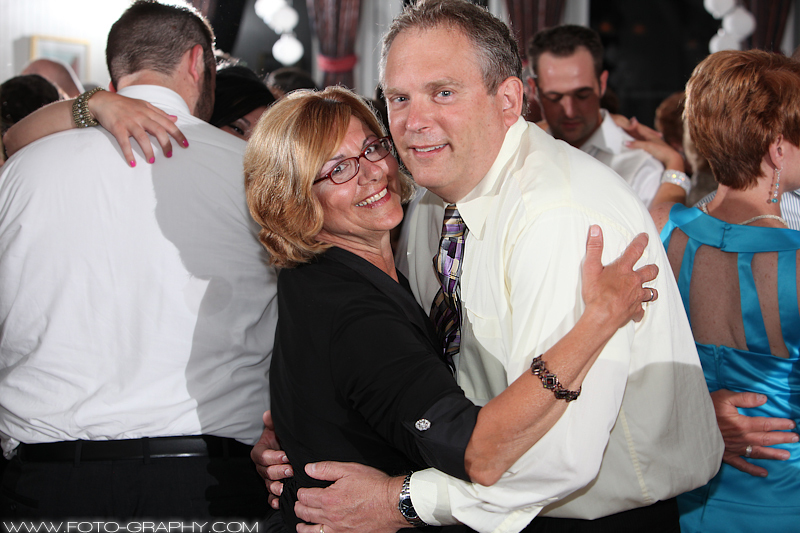 The DJ had the dance floor packed all night, this crowd is always good for some great dance/party photos, the Dinardo Brothers definitely helped.